Justin Henderson is responsible for most of the the text on this site. Justin is an established writer, having published six novels as well as many non-fictions and travel guides. When he’s not writing, he’s usually riding waves on a surfboard or a paddleboard in Sayulita or Punta de Mita. Donna Day, our accomplished, full of life, professional photographer does most of the images on our site. 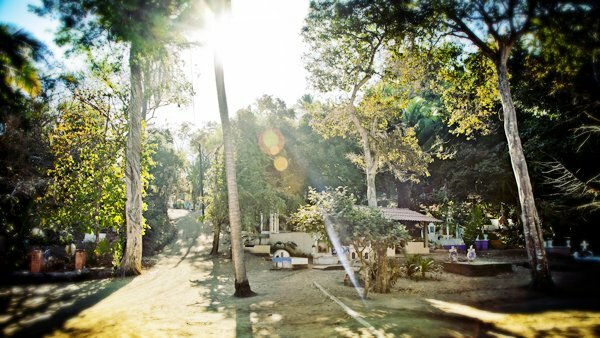 Donna did editorial, advertising and architectural photography in New York and Seattle before bringing her talent for vibrant imagery to Sayulita. 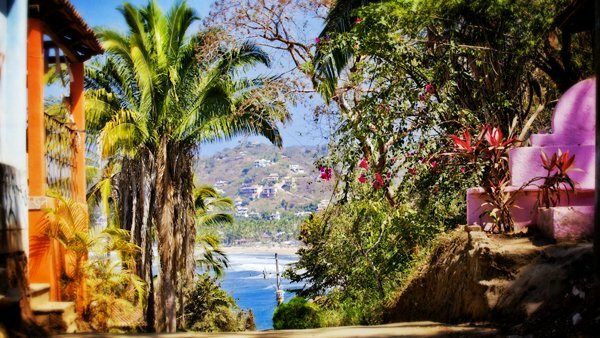 One of Sayulita’s most appealing treasures is Los Muertos Beach, a little nook of a cove just a few minutes away from the main, downtown beach, but as a rule much less crowded, and also, for those wary of the waves, much calmer. Many of the swells that roll into the main beach, bringing thrills to wave-riders of all sorts, are blocked by Punta Sayulita and thus bypass Los Muertos, making it an ideal spot for leisurely swimming, even snorkeling when the waters are still. There are a few offshore rocks just to the left of the beach, and on calm, clear water days, these rocks are often visited by a colorful array of tropical fish. But let’s backtrack. 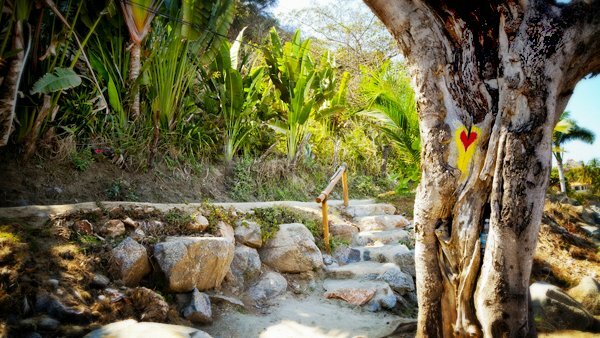 Not only is Los Muertos a wonderful, walkable destination from downtown and the town beach, but getting there is in itself yet another one of the many stimulating walks to be enjoyed in Sayulita. 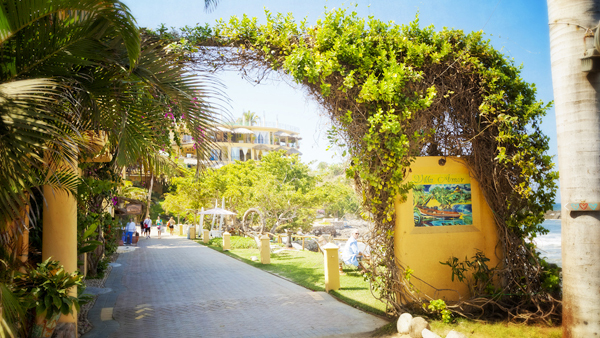 If you begin at the plaza, the most pleasant way to Los Muertos is to head to the beach on Calle Marlin or Delfines, and turn left. Soon, you’ll pass the town’s motley collection of pangas, pulled up above the tide line. These are the assorted small blue and white boats, once dedicated to small-town, small-time commercial fishing; while many of the local fishermen still carry on as they always have, rising at dawn to go out and get the day’s catch, many of these boats are now available for recreational fishing, snorkeling, surfing, whalewatching, and all the other waterborne activities visitors engage in when they come to Sayulita. At the end of the beach, where the sand turns to rocks you don’t want to scramble over, find a stair or path and pop up to the road that lies between the hill and the beach. From here, just a few steps up, enjoy the wonderful, panoramic perspective on the beach, the town, the hills climbing up behind the town, and the beautiful blue bay with its waves endlessly rolling in. And the sky, with clouds floating by and birds wheeling overhead. As you head farther out along the road, these inspiring views only get better. 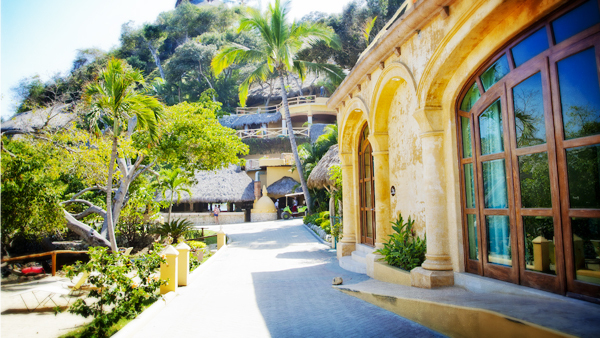 Approaching the Villa Amor hotel and its entry arch, you might get the uneasy feeling that you are walking onto private property. Fear not. This is a public throughway, beautifully maintained by Villa Amor but open, at all times, to everybody. 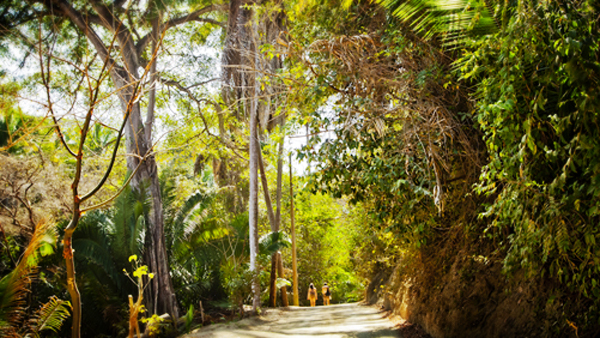 Villa Amor simply provides a hundred-yard stretch of lovely paved road, flanked by the hotel’s gorgeously landscaped grounds, through which you can stroll en route to the land of the dead. Beach of the Dead. Playa Los Muertos. But first, the graveyard! Just past the hotel, turn left and climb the small hill. 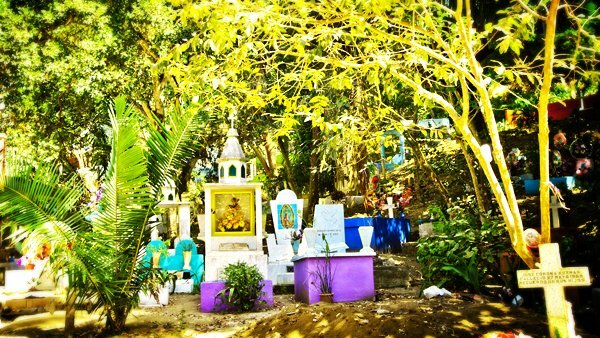 As you go over the top, you’ll discover the town’s beautiful, tranquil little cemetery. Many of the graves are elaborately decorated, and almost all of them are well-maintained, the dead honored with fresh or artificial flowers. With the sunlight pouring down, filtered through the magnificent trees in and around the graveyard, it’s a serene, spiritual-feeling place, a place for contemplation and quiet. On the other hand, if you should happen to be in town when there is a funeral, or around the Day of the Dead in early November, you’ll find the graveyard possibly a little less serene, for it will have been turned into a gathering place, a place where people come to celebrate by remembering and honoring the lives of those who have gone before. And Mexicans do like to party to honor their dead. 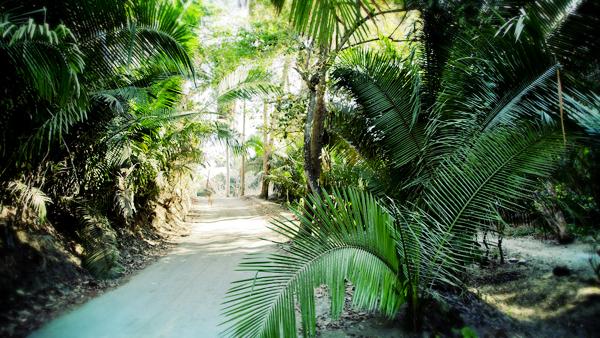 Beyond the graveyard, you go right to Playa los Muertos, or turn left and head up the dirt road into the jungle. 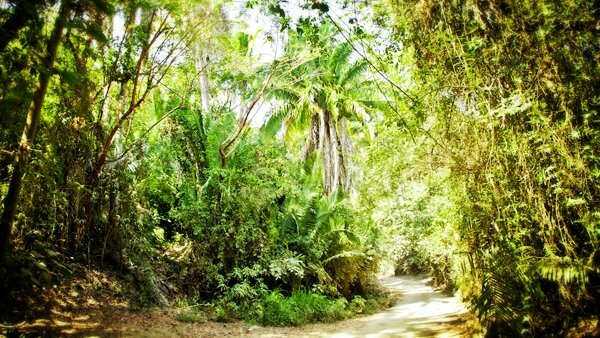 When you come to a fork in the road, the left turn will take you back towards town by way of the street called Ninos Heroes; the right turn will take you to the more remote beaches of Carrecitos and beyond. There are no services, stores, or restaurants out that way, so if you should choose that path, take food and water. It’s a wonderful walk but you’ll need fuel, and you do not want to get dehydrated. You can do this walk in a car of course, in five or ten minutes, but that takes the fun and adventure out of it. If walking is too much, rent a bike or hire a horse. Whatever means of travel you choose, make the time to take it slow. This walk is well worth it.